Welcome to your future Q&A community. Let's start building a community. Follow these tips to launch your new site with a BANG! It's simple to let your users know what this thing is all about. Add a site description and customize your site theme. 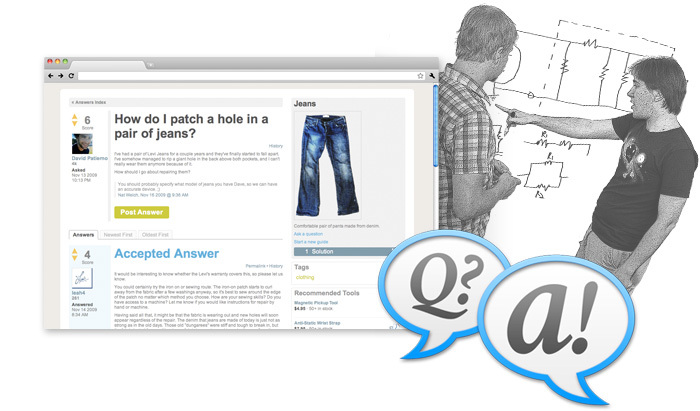 Come up with some example on-topic and off-topic questions, and add them to your FAQ. This helps get people started on the right track. Check out The Codex to discover more cool things you can do with Dozuki. Don't launch with an empty site! Invite a few friends to help populate the first 20 or so questions. It's important to have a small base of people who know the system and can help out newcomers once you make a public launch announcement. Your community has huge potential! However, you need to provide the initial push for your site to snowball into something incredible.